Massage Therapy can be an integral part of chiropractic care and can be incorporated into chiropractic care for many reasons. Massage done at a local salon or spa of course feels wonderful, and can be incredibly rejuvenating, however, chronic pain or fatigue can return rather quickly. This is in part because the underlying cause of pain is not being addressed. On the other hand, a therapeutic massage performed along with the medical knowledge and guidance of a medical practitioner, like a chiropractic, can change the course of your rehabilitation. If you have had a recent surgery, a therapeutic massage can make a great difference in your healing time. Not to mention, can immensely help reduce the appearance of scar tissue. Jeanette is a great therapist with warm hands. She specializes in a variety of techniques such as Swedish, Deep Tissue, Myofascial release and Neuromuscular, to name a few. She is a great spirited individual who loves her job very much and looks forward to help you relax and relieve stress. 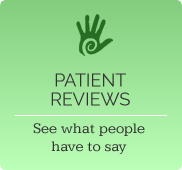 Jeanette has over 9 years of experience in massage therapy. She has a great awareness and deep respect for the human body and its ability to heal. She brings a gentle demeanor and heart centered approach to her profession. A 30-minute massage is $35. An hour massage is $55. Want to experience the therapeutic effects of massage therapy? 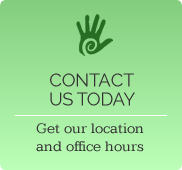 Call (904) 996-8660 and schedule a massage.